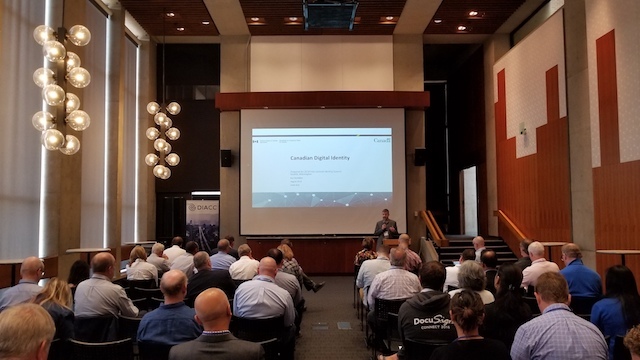 On September 6 and 7, Identity and Access Management leaders and innovators from around the world convened in Seattle, WA to share perspectives and identify strategic opportunities at the 2018 International Identity Summit. The two-day Summit began with a Design Workshop, followed by an Identity Industry Day, hosted by DIACC. Developing a framework for Canadian digital ID interoperability across sectors and industries is no easy task and DIACC members recognize that we must collaborate strategically to reach our vision of unlocking the digital ID capabilities of the public and private sectors to grow the economy while putting Canadians more in control of data about them. Our Canadian story is one of collaboration and that approach does not begin and end in Canada. Securing our place in the digital economy requires interoperability at the multi-national level. Our approach must prioritize Canadian values and principles while ensuring that we can transact with others around the world. I’m always humbled to participate in impactful teleconference working out the fine details needed to advance digital ID that prioritizes privacy, security, and convenience of use. While teleconferences continue the community building, it’s important to come together in-person to connect, share perspectives and even to break bread and share a meal. Recognizing the importance of connection, leaders of digital ID programs from around the world come together in a new host city roughly every 18 months to share information and plan their next steps. In 2015, DIACC was honoured to host an Industry Day at the previous gathering in our “own backyard” in Ottawa. When we were asked to host Industry Day at the 2018 gathering in Seattle to connect the Pacific Northwest innovators, we were thrilled to work in collaboration with partners at the University of Washington. Industry Day provides a neutral platform for show-and-tell connecting innovators with potential partners and customers. To warm up, attendees took part in a debrief of the findings from the previous day’s design thinking workshop facilitated by University of Washington and sponsored by the Department of Homeland Security Science & Technology Directorate. 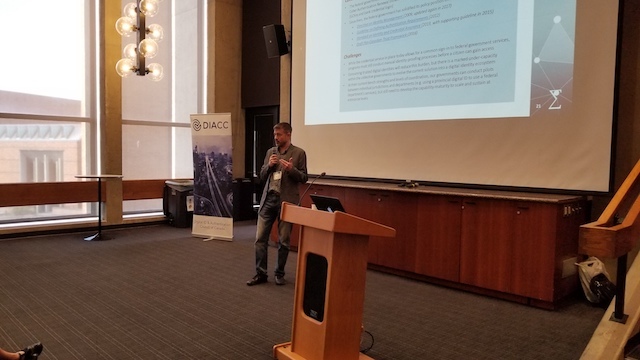 Next, DIACC was proud to begin the day’s content with an inspiring keynote presentation detailing the Government of Canada’s vision and action plan to meet the call for digital ID that Canadians can use with confidence. The keynote was followed by an impressive overview of the U.S. Department of Homeland Security, Science and Technology, Silicon Valley Innovation Program. Next, we explored a deep dive of international innovation applied research projects progressing with the support of funding awarded by the DHS Science & Technology Directorate. We’re pleased to share the Industry Day presentations and materials from this impactful and on-going event.